A top heart surgeon who was vilified by health chiefs and sacked after he exposed shocking NHS failings won £1.22million damages yesterday in a dramatic victory for free speech. Raj Mattu’s vindication comes 15 traumatic years after he bravely spoke out about his concerns for patient safety. Health bosses have already squandered more than £10million of taxpayers’ money on a decade-long witch hunt to silence him and ruin his reputation. The cardiologist’s case was championed by the Mail – which has campaigned for openness in the NHS and protection for staff who are prepared to risk their careers to blow the whistle on incompetence and wrongdoing. Last night Dr Mattu said he been ‘vilified and bullied’ after making claims about care at the Walsgrave Hospital in Coventry in 2001. He added that his employer had been guilty of endangering lives by allowing overcrowding on its wards, and by trying to cover it up. 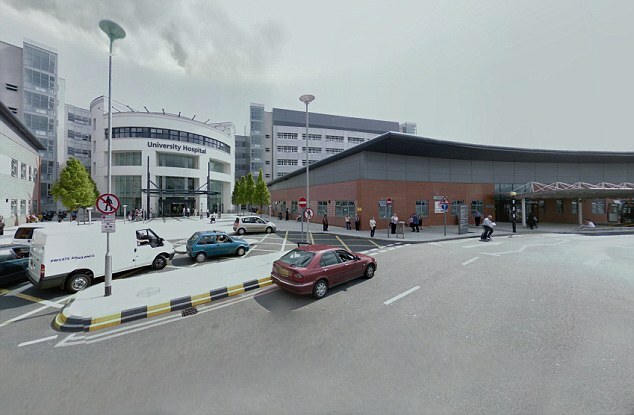 Dr Mattu was dismissed after he exposed the fact that two patients had died in dangerously overcrowded bays. Instead of listening to his concerns over the poor standards of care, bosses at the University Hospitals Coventry and Warwickshire Trust then hounded him when he challenged his dismissal through an employment tribunal – costing taxpayers millions. The tribunal ruled in April 2014 that the surgeon had been unfairly dismissed – and that he had been targeted by hospital managers for speaking out. The hearing was adjourned while the level of damages was decided. Last night the trust said it had agreed to pay Dr Mattu £1.22million. A source close to Health Secretary Jeremy Hunt said the case showed why hospitals needed to make sure they listen to whistleblowers. ‘Jeremy has met Dr Mattu personally and his case was a big part of the reason why he chose to ask Sir Robert Francis to set up the Freedom to Speak Up review,’ he said. ‘Ensuring that staff are listened to when they raise concerns is part of what we need to do to make the NHS the safest healthcare system in the world.’ Dr Mattu, 55, publicly exposed overcrowding and fears for patient safety at the hospital in 2001. A year later, the £70,000-a-year doctor was suspended by the trust on full pay after being accused of bullying. He was dismissed in 2010. David Loughton – the hospital boss at the centre of Dr Mattu’s 13-year ordeal – now earns more than £200,000 a year as chief executive of a major trust. It was while Mr Loughton was in charge at Walsgrave Hospital in Coventry that Dr Mattu was suspended after speaking out about overcrowding. Now he heads the Royal Wolverhampton Hospitals Trust, where he is paid more than eight times the average taken home by his staff. Two years ago he was accused of threatening another whistleblower, Sandra Haynes-Kirkbright, who said his hospital was fiddling death rate figures. Mr Loughton has worked as an NHS chief executive for nearly 30 years, but has faced intense criticism for his ‘aggressive and bullying’ manner in covering up scandals to the detriment of patient safety. 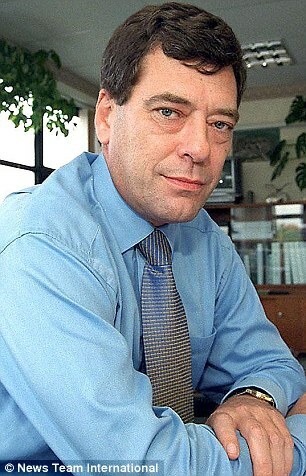 Mr Loughton was made chief executive at Walsgrave in the mid-80s. He ran it for 17 years, during which time he was accused in Parliament of ‘ruining a trust and the provision of health care in an area’. Former watchdog the Commission for Health Improvement gave the hospital a ‘zero star rating’ in 2001. Excess death rates for non-emergency patients were worse than those seen during the Mid Staffordshire scandal and serious concerns were raised about overcrowding. The suppression of whistleblowers was also highlighted in a report, with bosses accused of creating a ‘culture of fear’ in which ‘doctors fear being victimised for voicing concerns’. In November 2001, seven cross-party MPs called on then Health Secretary John Hutton to sack Mr Loughton following the damning watchdog report. He was forced to resign in shame. But this did not stop him getting another job in Wolverhampton. The tribunal found that Dr Mattu was a whistleblower and had been ‘subjected to detriments’ because of this. It concluded that the trust was at fault by holding a disciplinary hearing against Dr Mattu while he was in hospital after suffering declining health and could not attend. Two years ago, Dr Mattu told the Mail: ‘The way I have been treated is nothing short of an outrage and a scandal. ‘They stopped at nothing to change the focus from the patients – who were at the heart of my concerns – on to false claims about this allegedly “bad doctor” who needed to be removed. In a statement, the trust said yesterday: ‘While £1.22million is a large amount, it is a significant reduction from the original claim and has finally resolved this matter. Dr Mattu trained as a registrar at hospitals in Sheffield and London after graduating in medicine, and worked at nine NHS hospitals before moving to Coventry’s then Walsgrave Hospital. Dr Mattu first voiced concerns about the death rate for heart bypass operations at Walsgrave Hospital in 1999, which at the time had far a higher death rate than expected. Dr Raj Mattu blew the whistle about overcrowding in 2001 after two patients died on a cardiac ward in Coventry. The cardiologist said there was a dangerous ‘five in four’ practice at Walsgrave Hospital – meaning they put a fifth bed in bays that were designed to take only four. He sounded the alarm along with five colleagues. They were concerned that the system was leaving vital services such as oxygen, suction and electricity harder to reach in the event of an emergency. It came after a patient had suffered a heart attack and died after staff could not reach lifesaving equipment in time. Dr Mattu told Radio 4’s Today programme that at least two patients had died unnecessarily on overcrowded wards. He was sacked by University Hospitals Coventry and Warwickshire NHS Trust in 2010 but an employment tribunal later ruled he had been unfairly dismissed. The trust spent millions of pounds pursuing around 200 allegations against him, which later proved to be false. His bosses also spent thousands of pounds of public money hiring private investigators to look into his affairs and employing a PR agency to deal with potentially damaging media fallout. He blamed at least two of the deaths on the cost-cutting practice of putting five patients into bays equipped for only four. In one case, Dr Mattu and two senior nursing colleagues lodged an official report after a 35-year-old patient died because staff could not reach him with vital lifesaving equipment in an overcrowded bay. When the trust failed to respond to his concerns, or those of the Commission for Health Improvement and the Department of Health, Dr Mattu decided to go public, and initially spoke to the BBC. Five months later, he was suspended – not for clinical mistakes or for whistle-blowing – but for allegedly bullying a junior colleague – claims that were later disproved. After seven years being suspended on full pay, in 2007 the cardiologist finally had his suspension lifted – after having become the longest-suspended doctor in the country. But Dr Mattu claims he was unable to return to his old position and experienced increasing hostility from the trust management. Then, after raising grievance proceedings, he faced further false allegations. After a short period in work, Dr Mattu’s health deteriorated as a result of these unsubstantiated allegations – he suffers from an auto-immune disease – and he was forced to take sick leave in February 2010. Dr Mattu was eventually sacked by the trust in 2010 – while he was still in his hospital bed – nine years after he first raised concerns about dangerous post-operative care. His lawyer claims University Hospitals Coventry and Warwickshire submitted over 200 false allegations about him to the General Medical Council, resulting in the cardiologist being investigated from 2002 to 2009 and 2011 to 2013. They say that this makes their client the UK’s most investigated doctor by the GMC. However, according to Mr Mattu’s lawyers, the GMC has never found cause to proceed to an inquiry, instead rejecting the many and varied allegations.